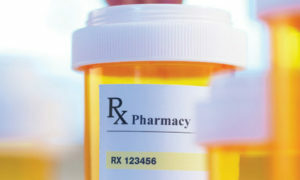 Home » Lee Edition » Your Windows May Be Hurricane-Ready, But Are Your Medications? Your Windows May Be Hurricane-Ready, But Are Your Medications? With hurricane season upon us, it’s vital that storm readiness preparations include securing all personal medications ahead of potential evacuations, or lengthy pharmacy closures, especially when living with chronic illnesses. For those managing conditions such as diabetes or heart disease, going without medication can be life-threatening. With a number of possible post-storm scenarios – from pharmacy evacuations, to extended closures or limited access to prescription medication, the most important advice to heed before a storm hits, is preparing a stockpile of over-the-counter medications and fill all regular prescriptions. Consider filling an extra 30 days of each medication needed, as this will ensure ongoing treatment despite any supply chain interruptions that may occur. Here are our top recommendations on getting medically prepared for this hurricane season. 2. Do not wait – fill prescriptions early. Work with your healthcare provider and pharmacist to order and fill a 30 day supply of all medications needed in advance of a storm. Most insurance companies will allow an early fill in these instances. It’s also important to avoid prescriptions running out, instead, get prescriptions renewed prior to the storm. Should your pharmacy lose power, you may not be able to fill your medications for weeks. That’s why it’s best to have all medications refilled before a hurricane gets too close. 3. Keep a backup written and digital record of your current prescriptions. If taking more than one medication, keep a record of your current dosage and doctor’s contact information, to help pharmacists best assist you during an emergency. Carrying copies of your medical insurance, Medicare and Medicaid is also highly recommended, in case it’s hard to search records when systems are down or power is out. Proof of residency (i. e. an electric bill) may be needed to re-establish insurance and other disaster assistance when that time comes. 4. Make sure medication is properly stored. Be prepared in case you lose power for a prolonged period of time by storing medications that require refrigeration in coolers and ice to keep them cold. Insulin, for example, must be refrigerated, and other medications can become unstable in extreme temperatures. Also, to be prepared in advance of any flooding, store medication in waterproof zip lock bags to protect from water and contamination. 5. Build relationships within your community with neighbors and friends. This way, should an emergency occur, someone who knows of your condition may help oversee any care for you following a disaster. For assistance with all your pre-storm medication preparations, visit Cypress Pharmacy, a full service compounding pharmacy providing pharmaceutical and healthcare services in Fort Myers for more than 40 years. The entire staff, including pharmacists T.J. DePaola and Justin Ceravolo, are dedicated to providing the best possible service to every customer. For more information, call 239-481-7322 or visit www.cypresspharmacy.com. Next Moisture! Moisture! Read all about it!